Magerealm, GTArcade’s acclaimed browser based action MMORPG, has something wonderful prepared for players this Thanksgiving! 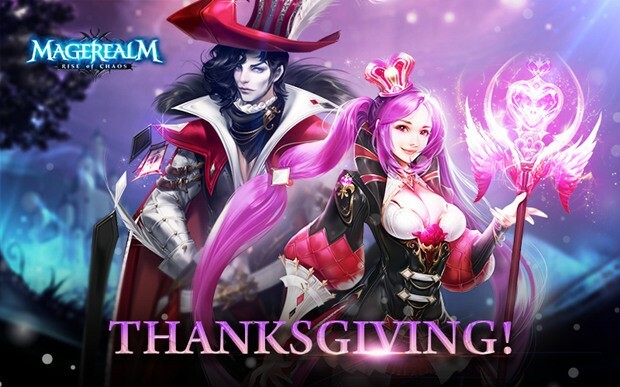 To get players into the season of giving, the game introduces 2 new events that emphasize what Thanksgiving is all about. And for the first time since launch, a new Angel will be joining Magerealm! To celebrate the spirit of Thanksgiving, this new event is all about generosity and kindness towards others. 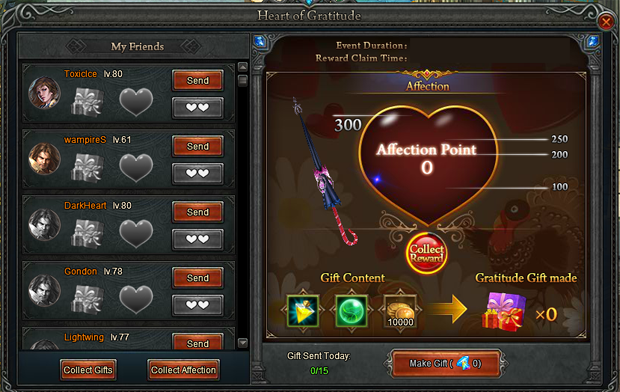 During the event, players can combine specific items into Gifts of Thanks that can be sent to friends. Each gift sent will earn special points for the event. After receiving a gift, the recipient can give thanks and also earn some points. Points can be exchanged for cool rewards! The gift of giving really does give back! What is Thanksgiving without a grand Thanksgiving feast? This time, players will be the chefs! Prepare your perfect Thanksgiving dinner and have your creations scored to earn points that can be exchanged for great rewards! 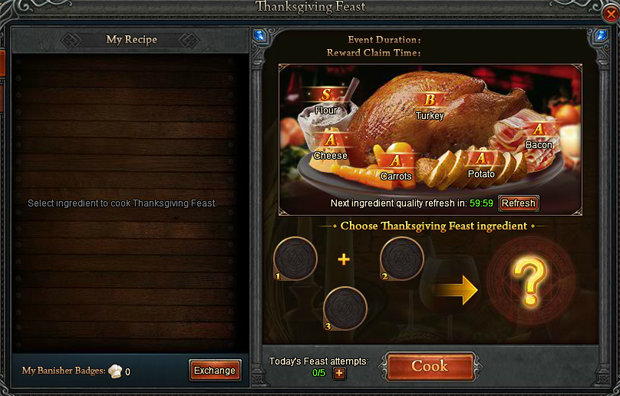 Players will choose from a limited selection of cooking ingredients and must come up with delicious Thanksgiving dishes. Cooking ingredients refresh at certain times so players can continue experimenting with their dishes. Every dish made will be recorded allowing players to see their culinary progress. A new shop will be available for a limited time that will offer a random selection of 6 items at huge discounts (with one at 70% off). The shop will refresh every 4 hours with new items, so check back often! New Angel: Introducing Sagittarius, a brand new Angel joining the battle against evil! This elegant but deadly maiden wields a divine bow as her weapon of choice! New Fashion: A stylish new set of fashion is avaliable! Players can look forward to more holiday events and content coming soon.